What’s a home or a business with outdoor property, without a beautiful lawn to complement its exterior appearance? 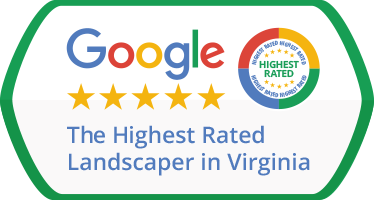 We, here at Green Hill landscaping in Vienna VA, believe that a beautiful lawn and a well-maintained, impeccably manicured landscape are essential to a great property. 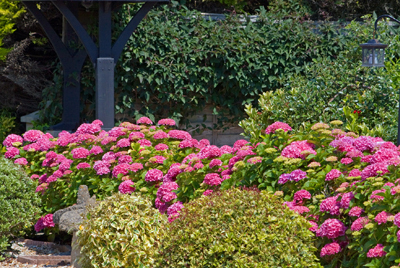 That’s why, for years, we’ve resolved to become the top landscaping company in the area. How have we gone about fulfilling that mission? It all started with a small, locally owned company right here in Great Falls. We are based on professional principles and truly believe that beautiful lawns can only be achieved without any compromises in terms of quality. That’s why we go the extra mile, when it comes to training our staff, as well as to maintaining and cleaning our tools and vehicles. Our teams are always fully outfitted in branded uniforms and all our technicians speak English. What’s more, whenever you place a call for an inquiry with us, you’ll be greeted by an actual human – not a machine! – who will make sure to pass your request along to the right staff member. Other landscape companies in the Vienna area will force you into signing contracts for services you don’t really need. Some others, still, will not provide the full range of services your landscape requires in order to stay lush and thrive throughout the year. Not Green Hill Landscaping. We’re full service when it comes to landscaping, which means we can handle landscape maintenance, mulch installation, fertilization & weed control, flower planting, landscape lighting, and, of course, lawn care. we are aware that gorgeous landscapes don’t simply maintain themselves and we are more than willing to put in all the hard work for you. We offer top quality landscaping. Vienna VA residents, count on us! Would you let anyone walk in off the streets and mow your lawn? What about aeration & overseeding, or irrigation services – think those are also services that non-professionals can provide? Think about this, then decide whether or not it’s worth calling professional landscapers to work on your property. Turf suffers stress when it’s being mowed, since the very act of mowing involves splitting the grass blades open. This, in turn, opens up the way for fungi, diseases, and weeds. Grass needs time to heal and it should also never be shorn shorter than 1/3 of the blades’ initial length. We’ve got the right know-how to avoid thatching and promote the health of your lawn. Trust us and let us handle the work on your lawn!